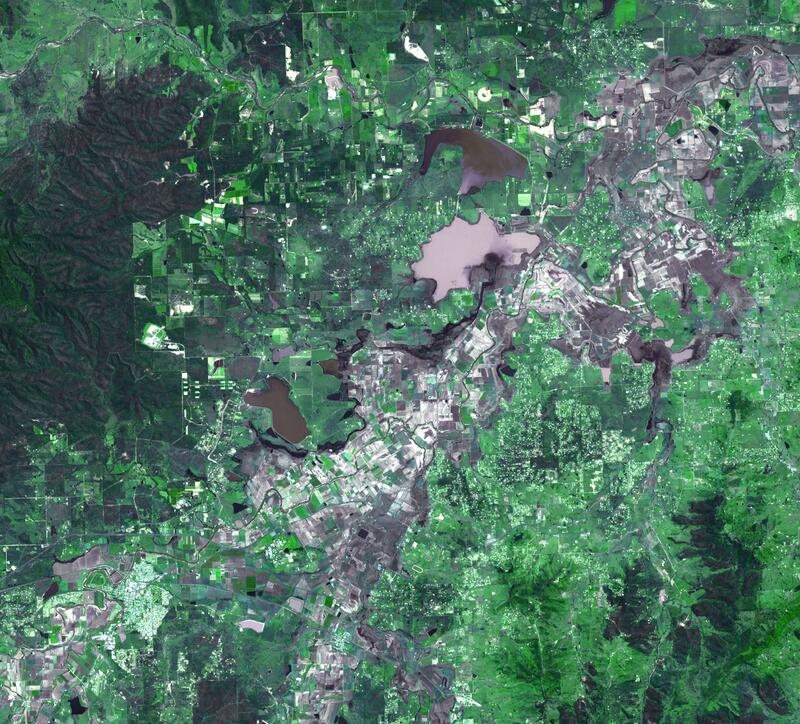 On January 17, 2011, the Advanced Spaceborne Thermal Emission and Reflection Radiometer (ASTER) instrument on NASA's Terra spacecraft captured this image of the inundation west of Brisbane, Queensland, Australia. 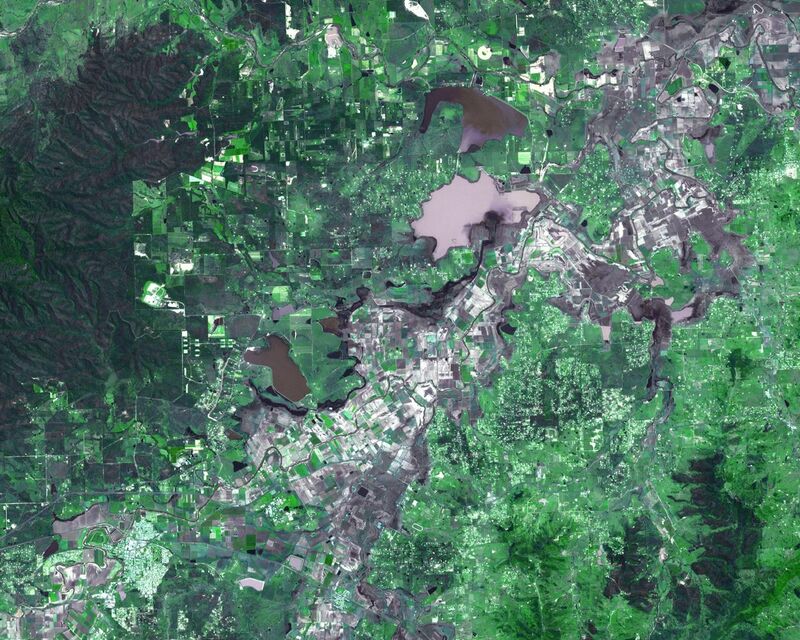 Torrential rains in northeastern Australia caused the Brisbane River to overflow its banks and flood much of the surrounding agricultural lands and small towns in the flood plain. The peak of the flood was a week earlier, and residents were waiting for flood waters to recede. 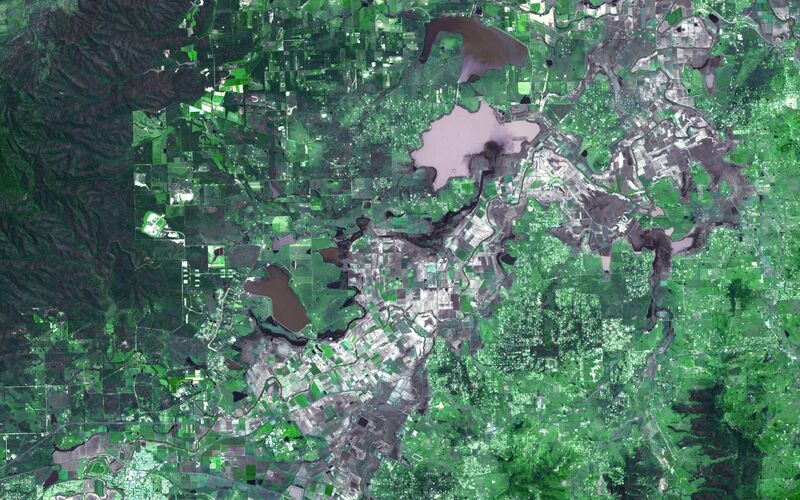 Vegetation is depicted in various shades of green, and buildings are white. Wet fields and land appear dark gray. The image is located at 27.4 degrees south latitude, 152.2 degrees east longitude. 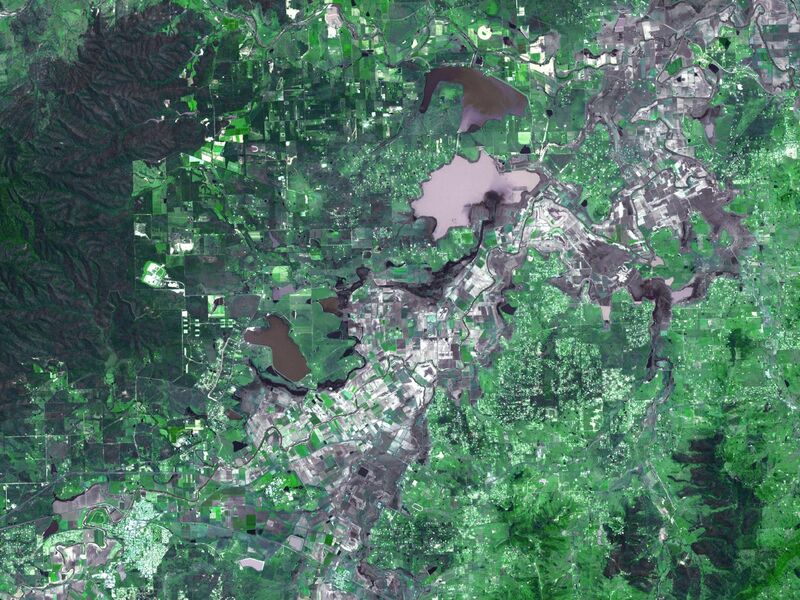 The image covers an area of 28.8 by 31.8 kilometers (17.8 by 19.7 miles).